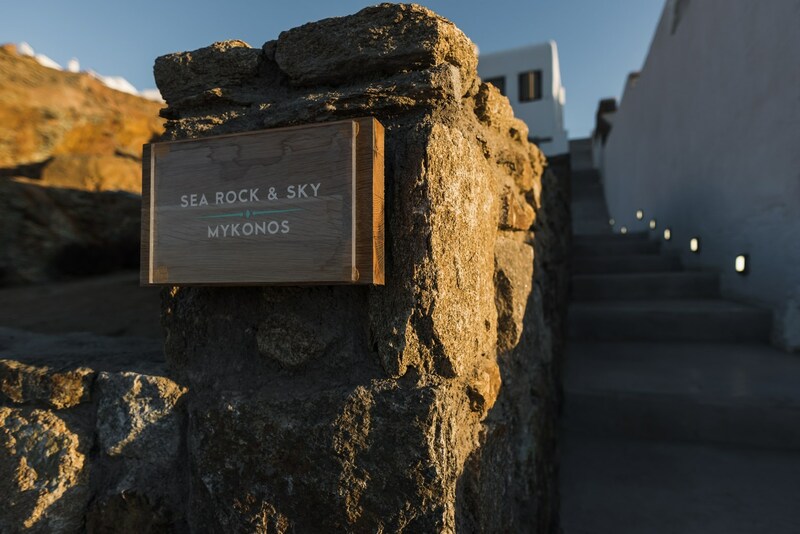 Each time you make a reservation through this website, your reservation is made directly with Sea Rock & Sky Private Residence. As such, you are guaranteed the lowest possible rate, unlike reservations made through third party systems (whose prices include the given platform’s commission). 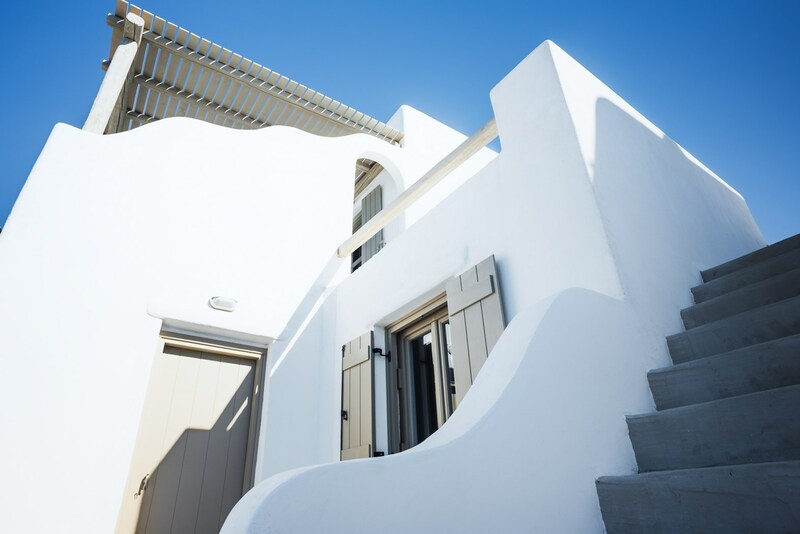 To view rates, availability and make an online reservation directly with Sea Rock & Sky Private Residence click here! 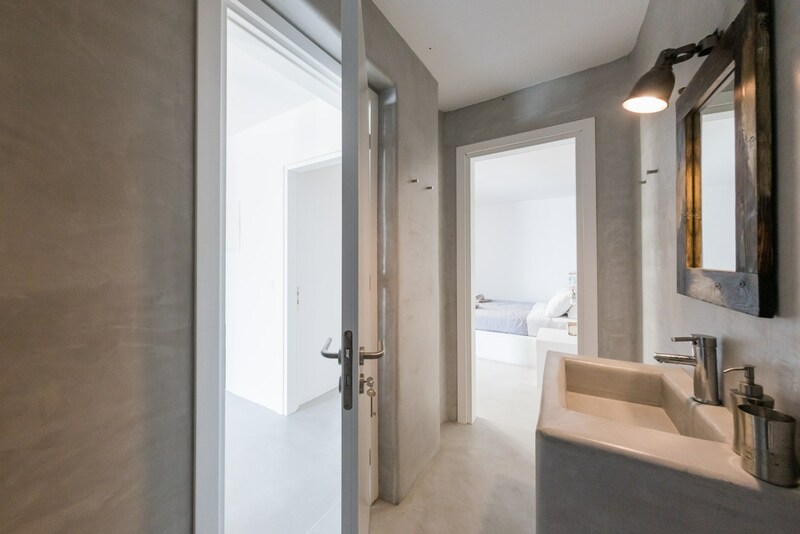 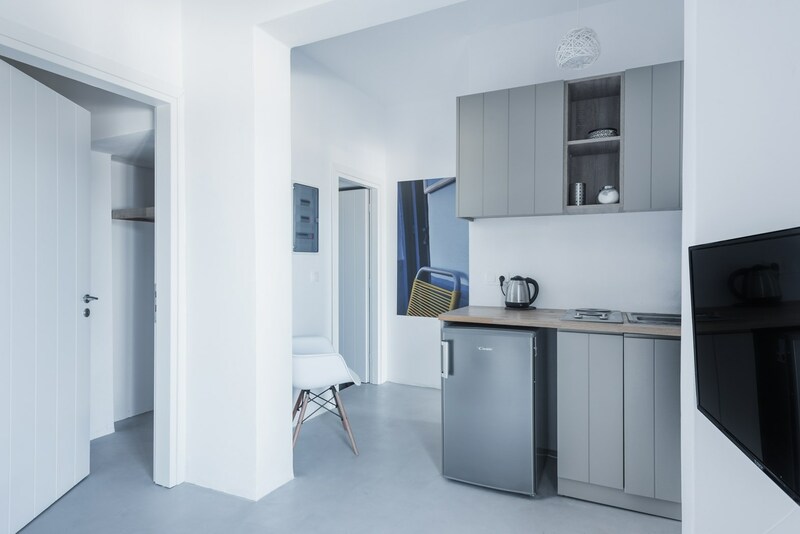 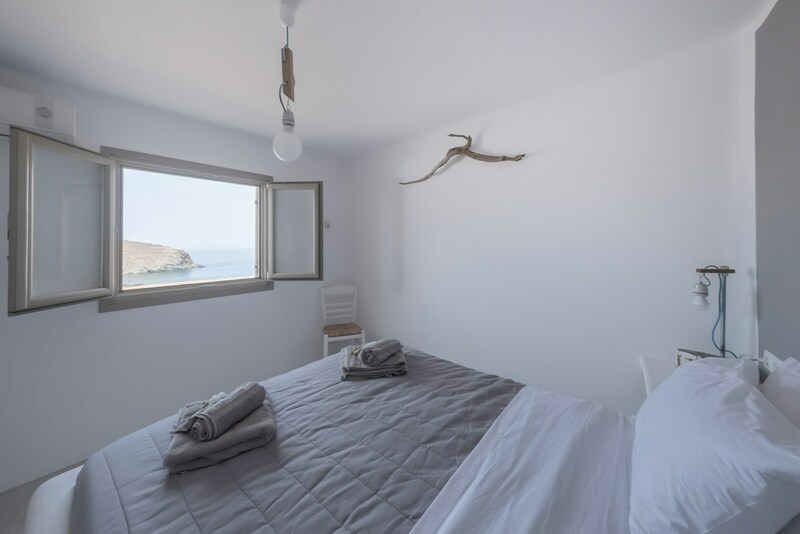 • For every reservation made directly with Sea Rock & Sky Private Residence through this website, breakfast is free of charge and free private parking is included! 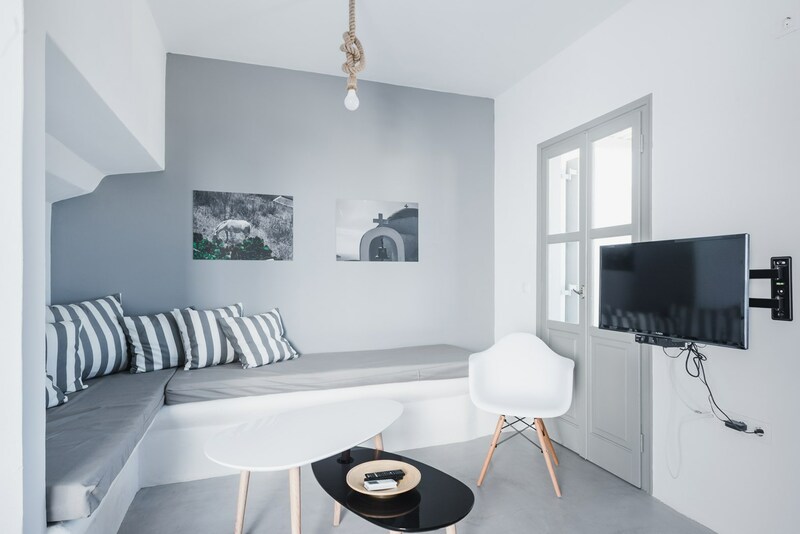 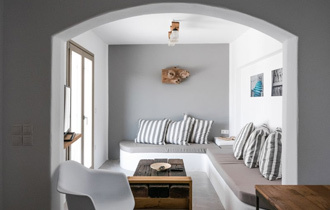 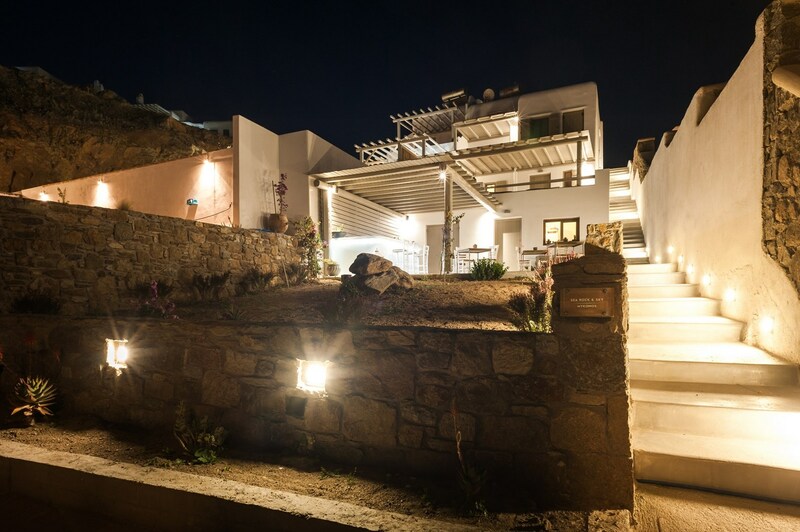 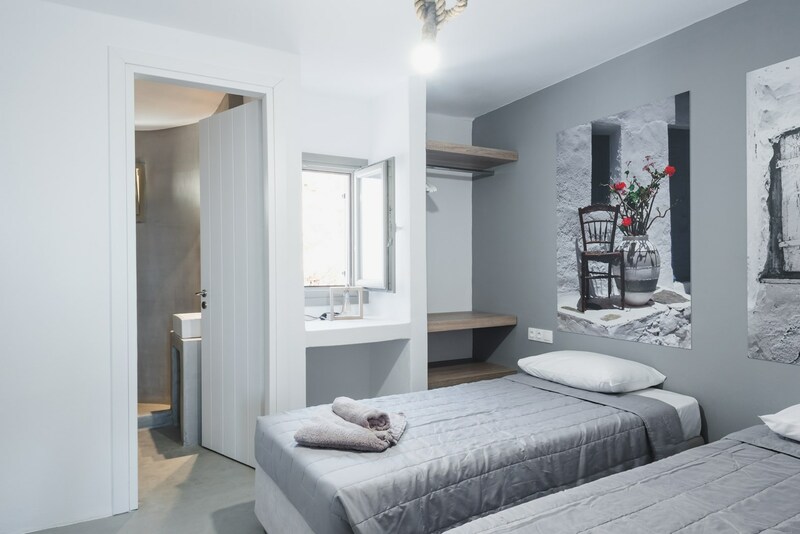 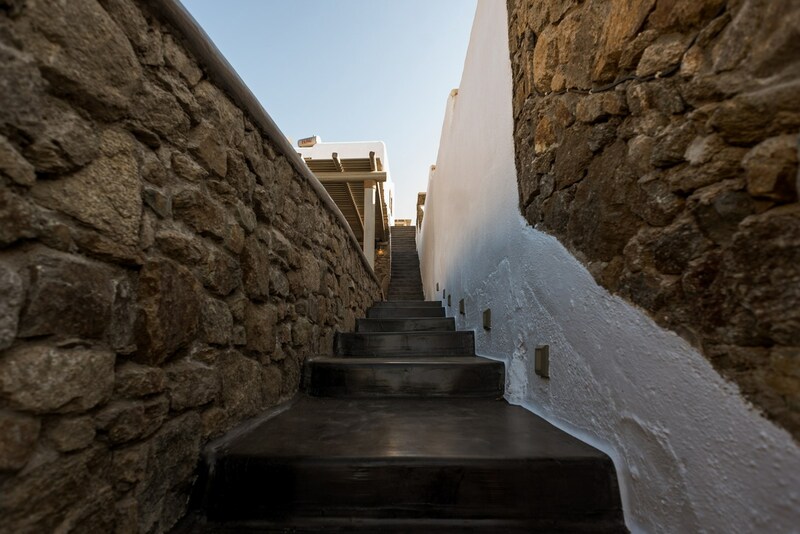 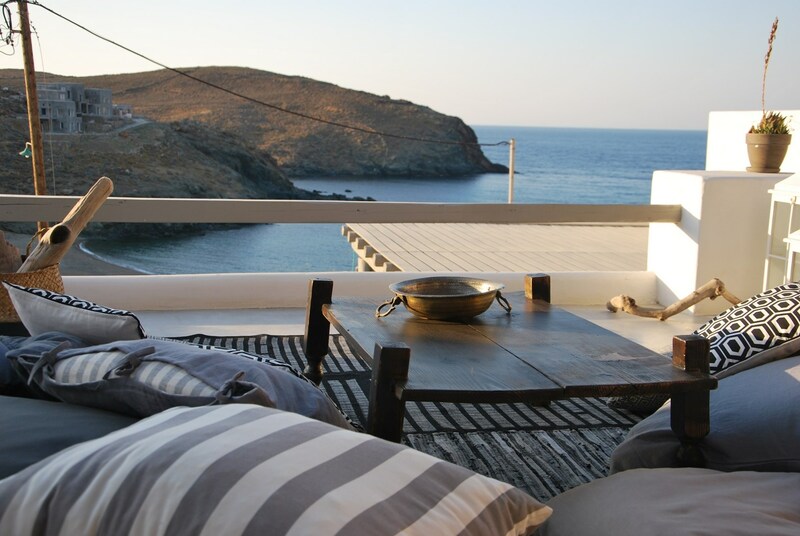 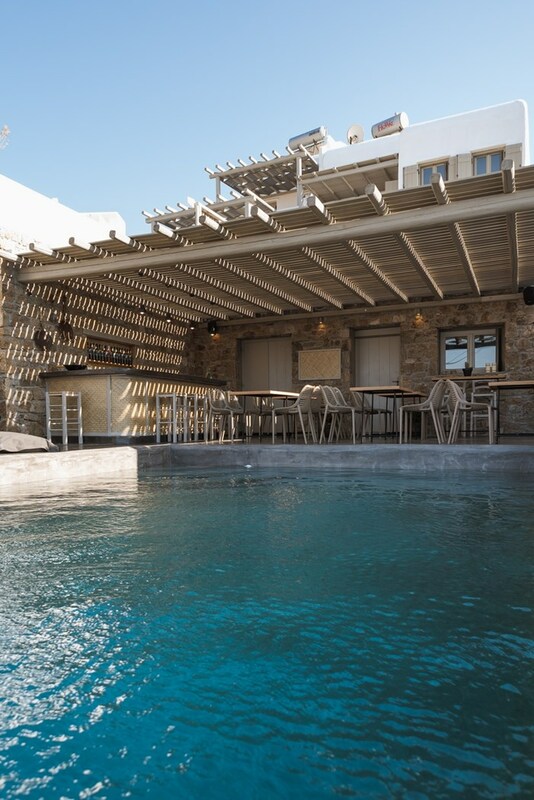 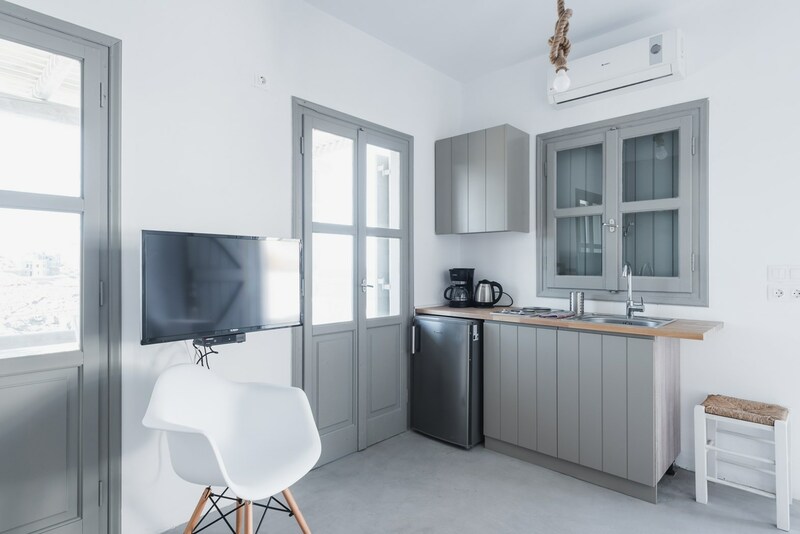 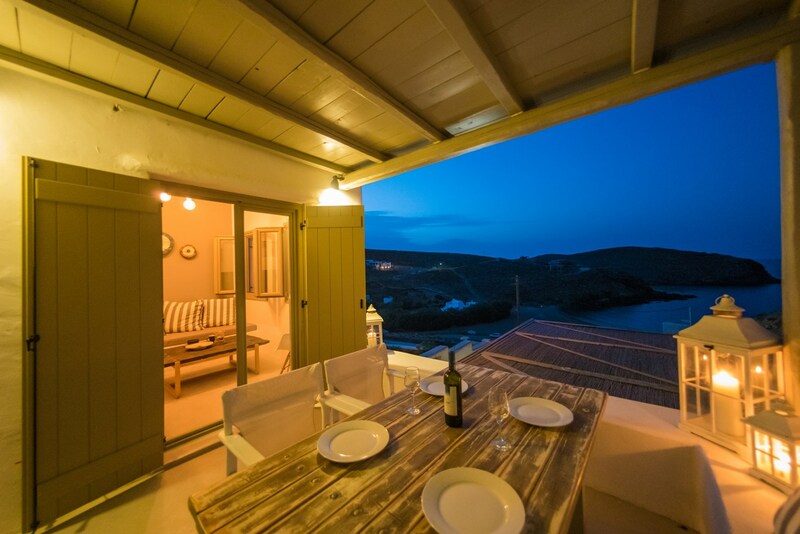 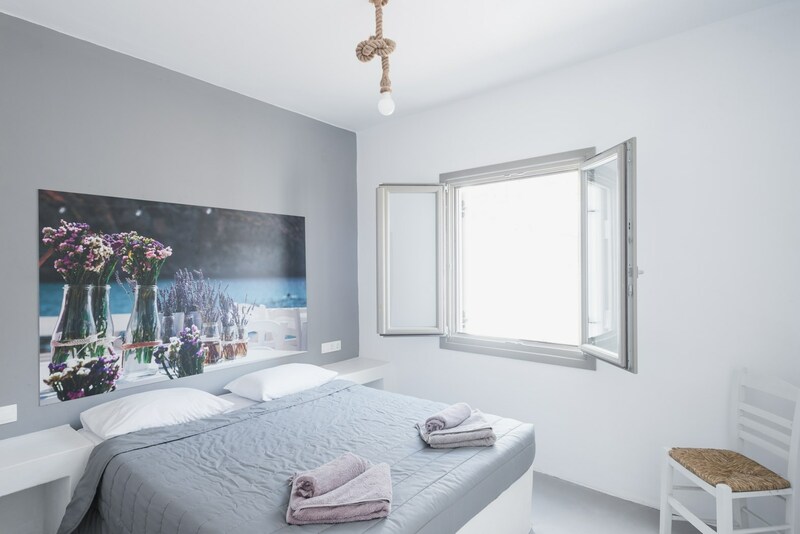 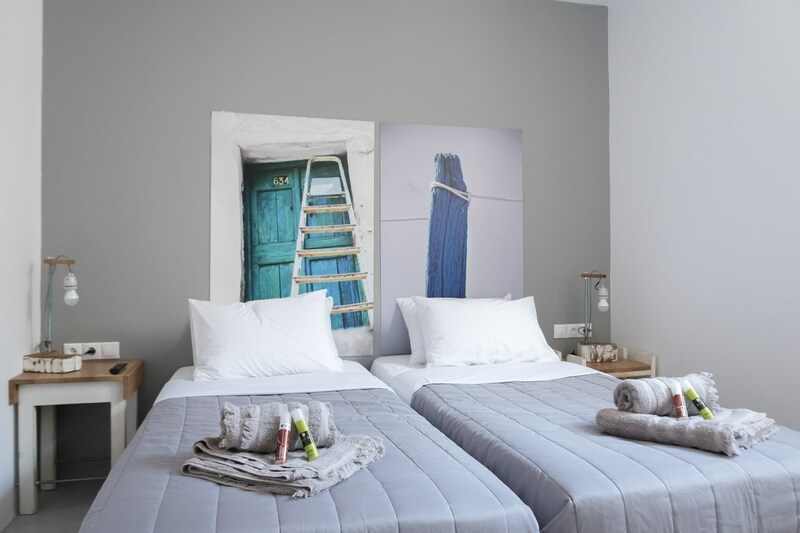 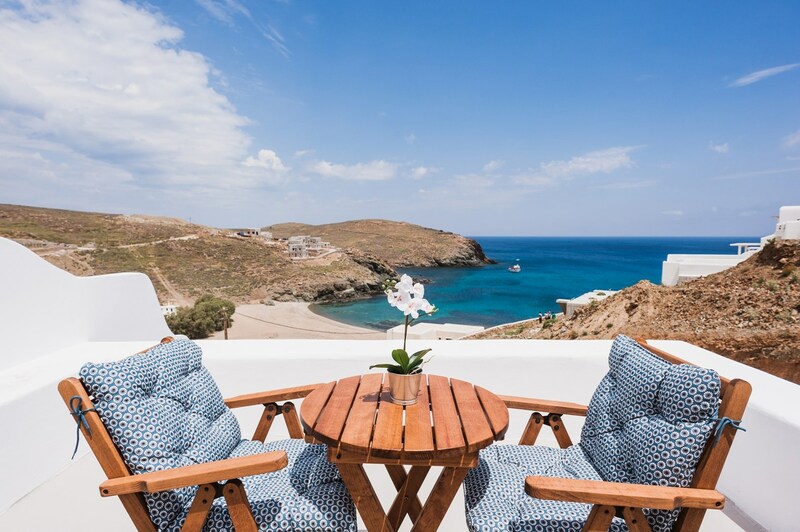 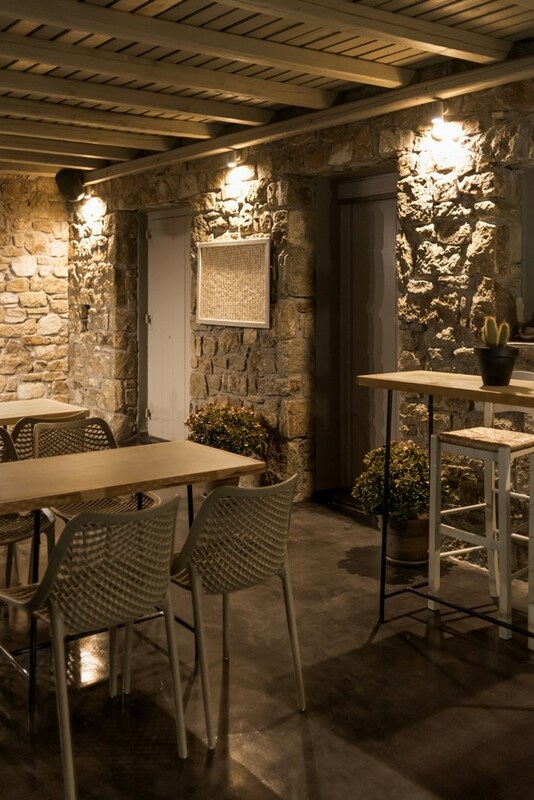 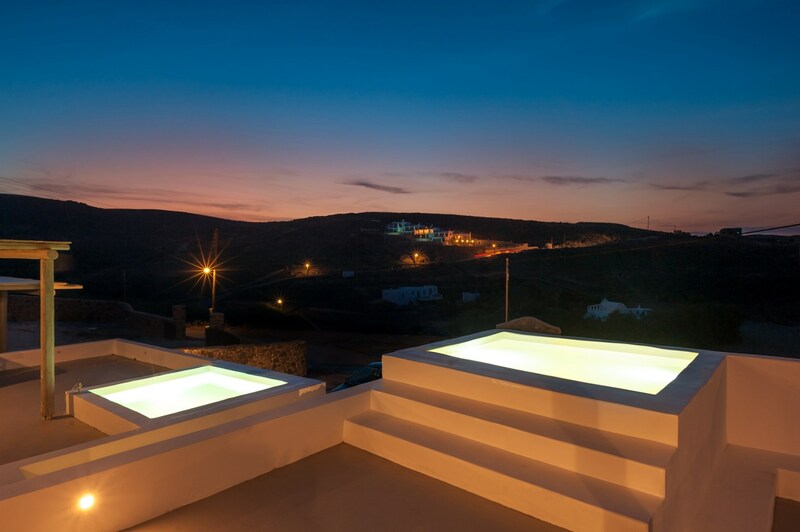 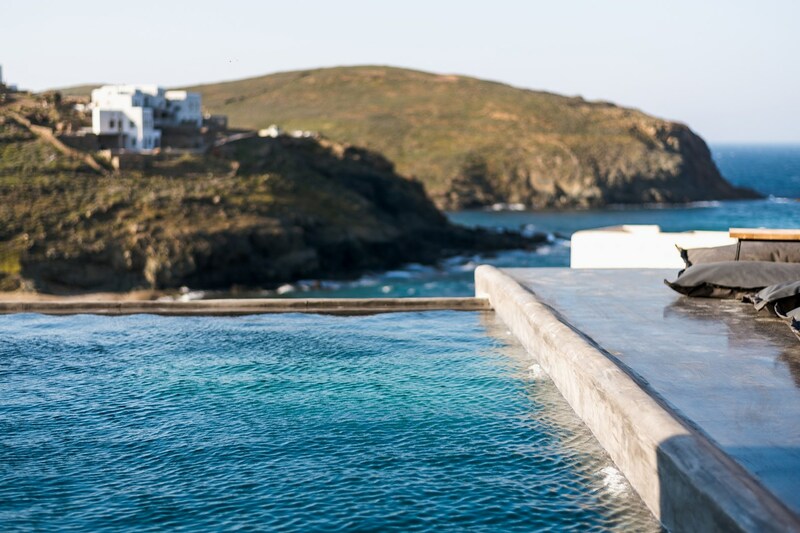 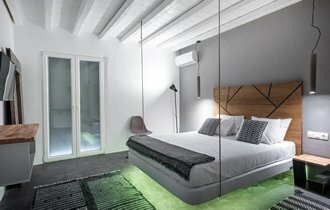 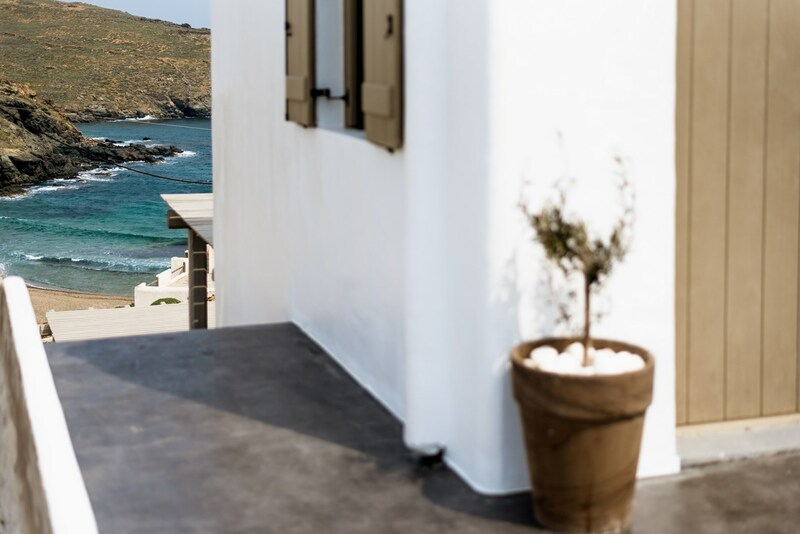 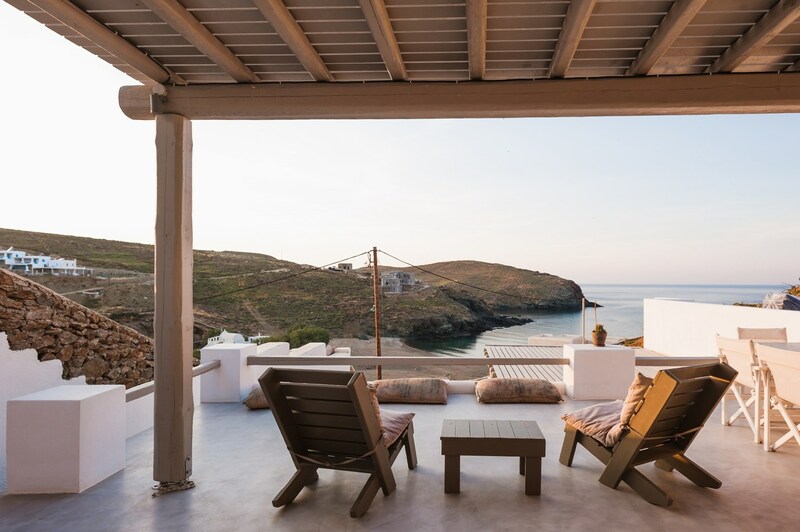 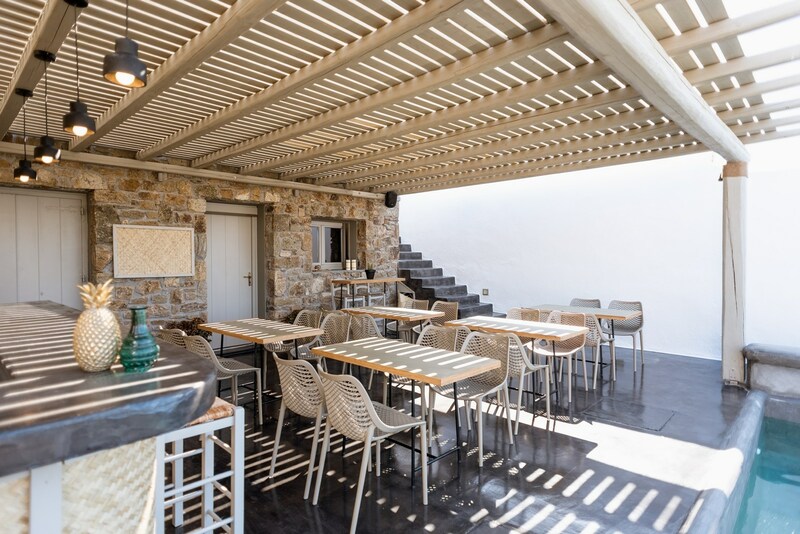 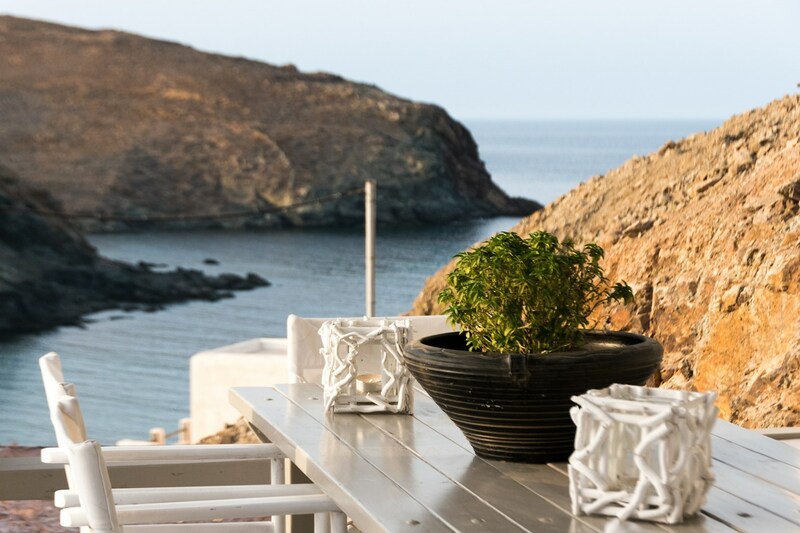 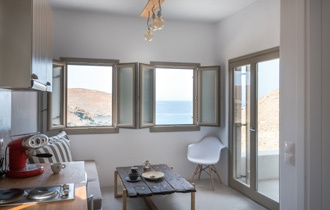 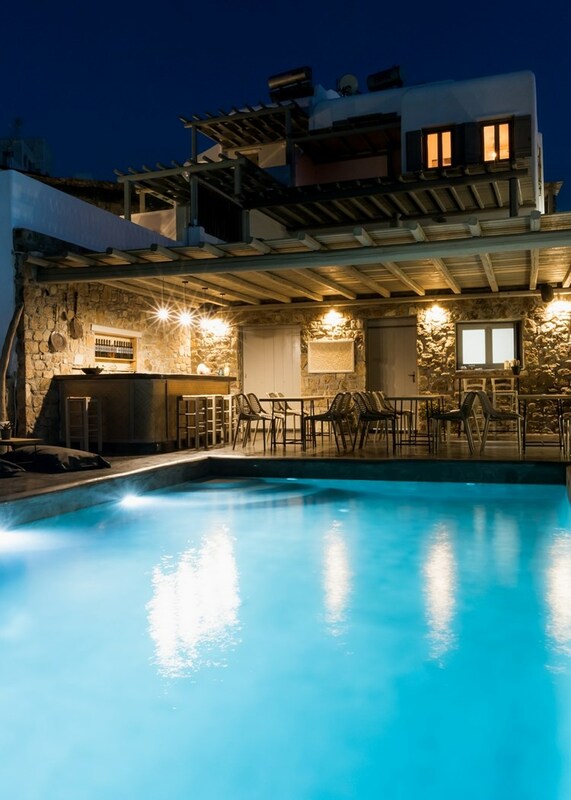 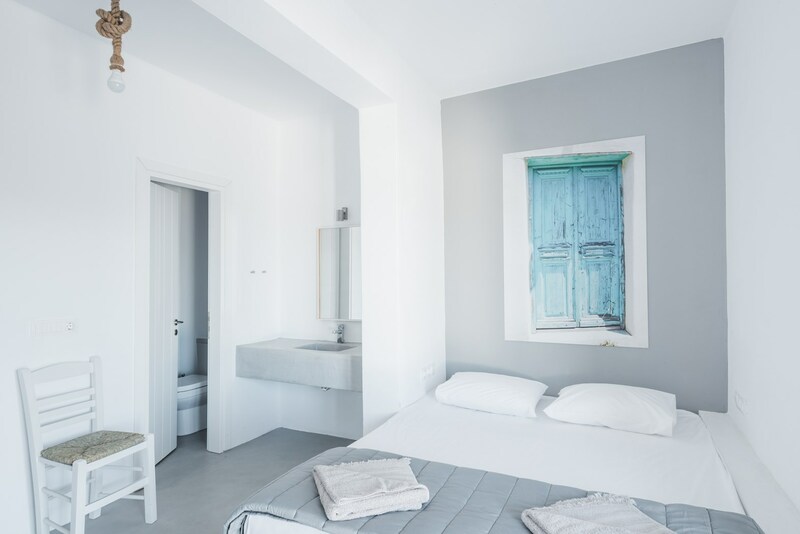 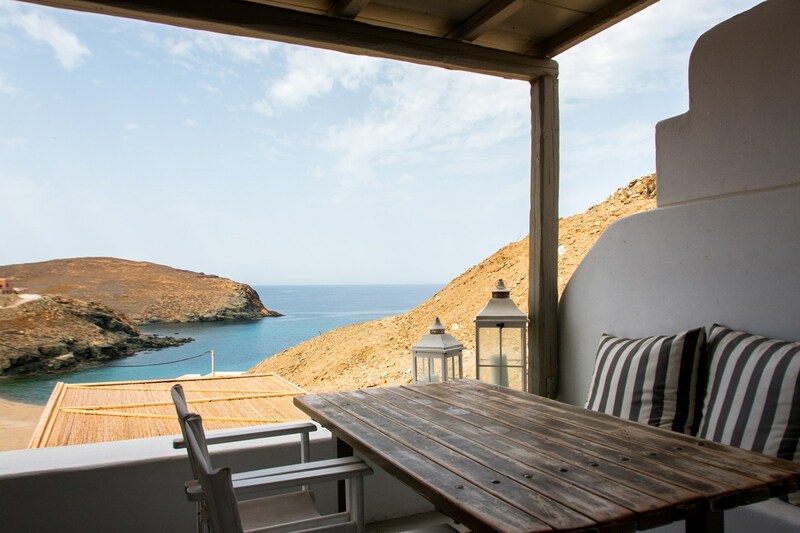 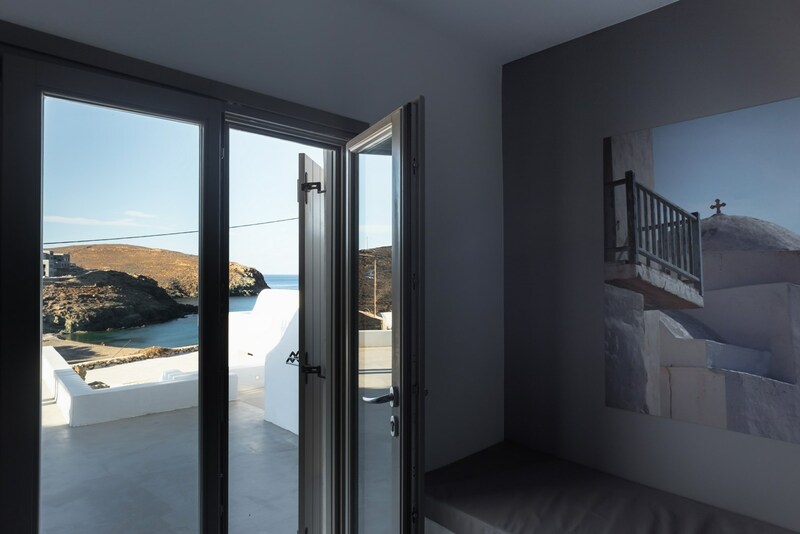 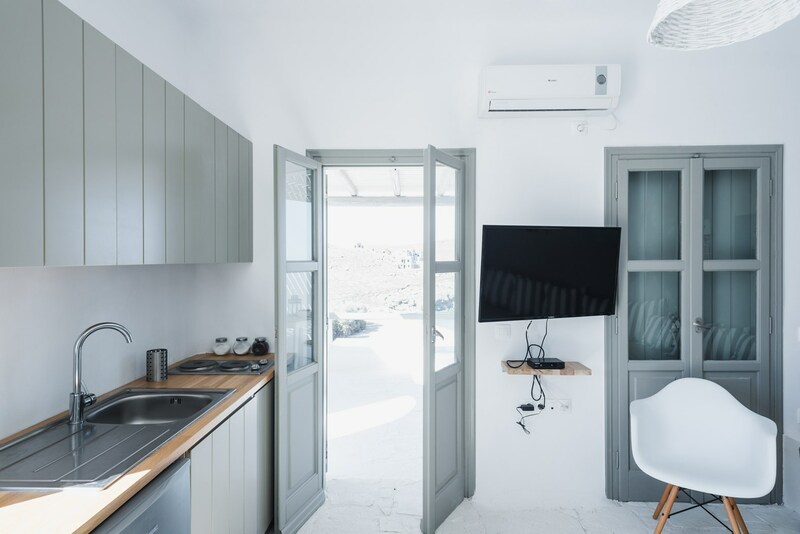 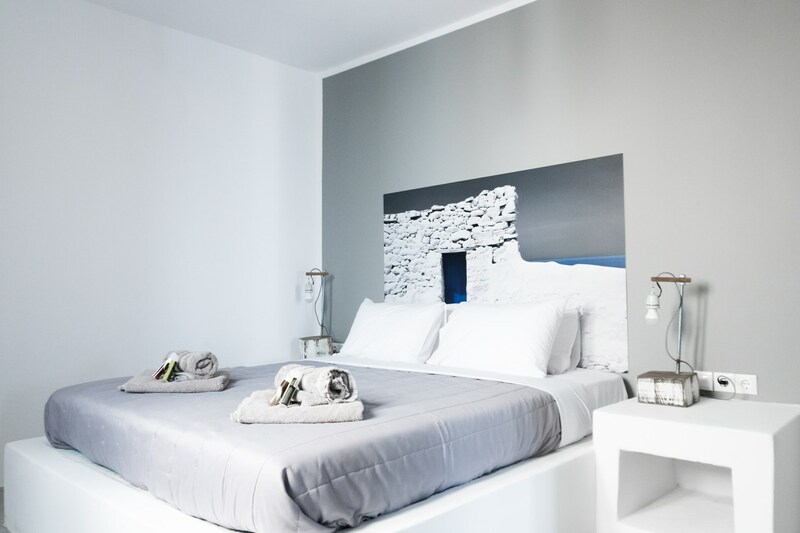 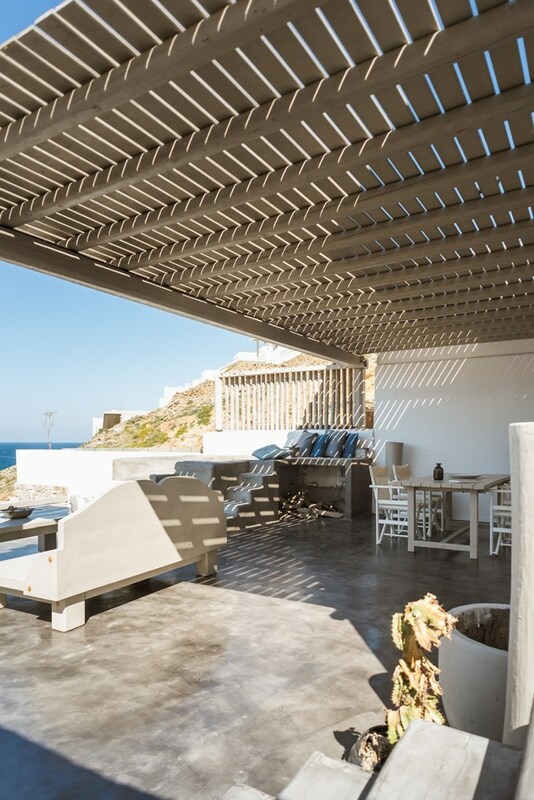 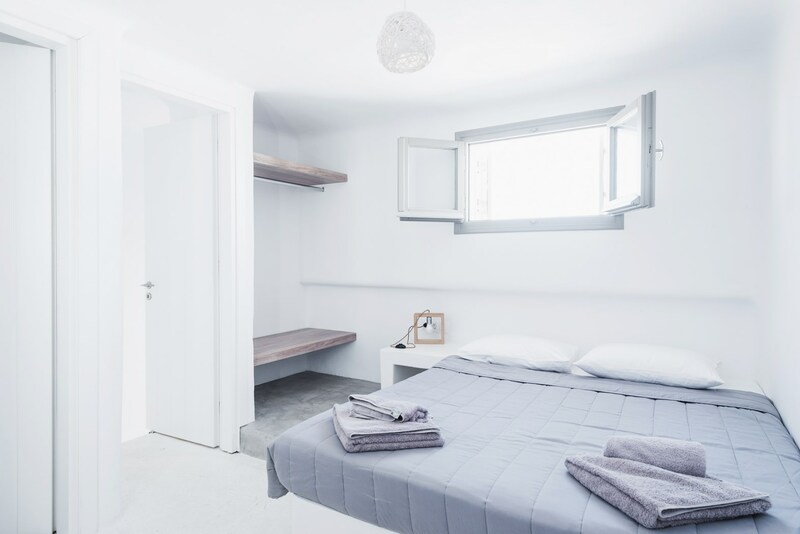 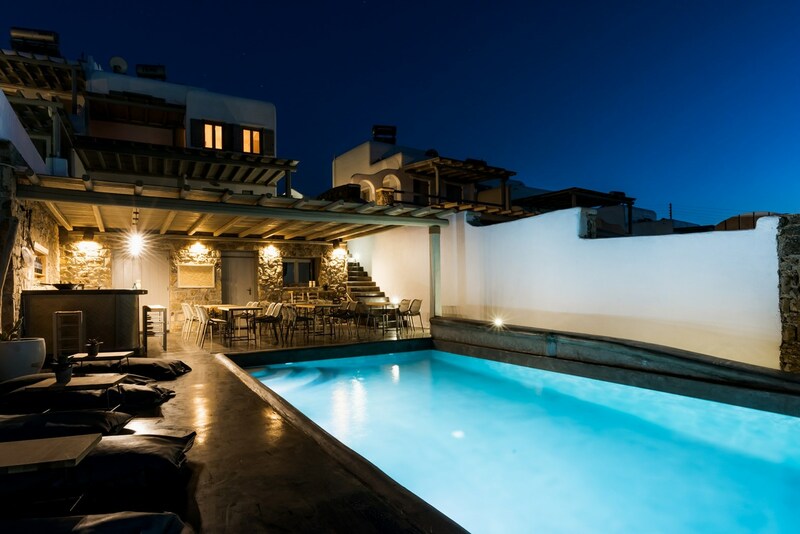 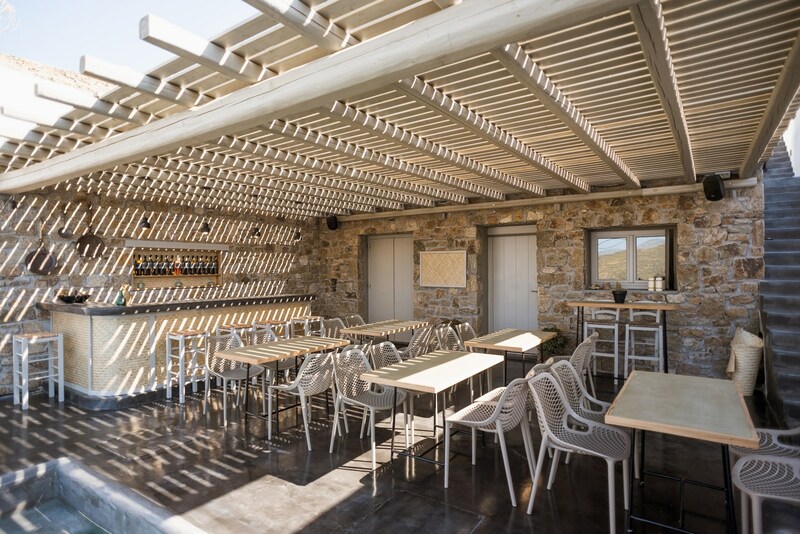 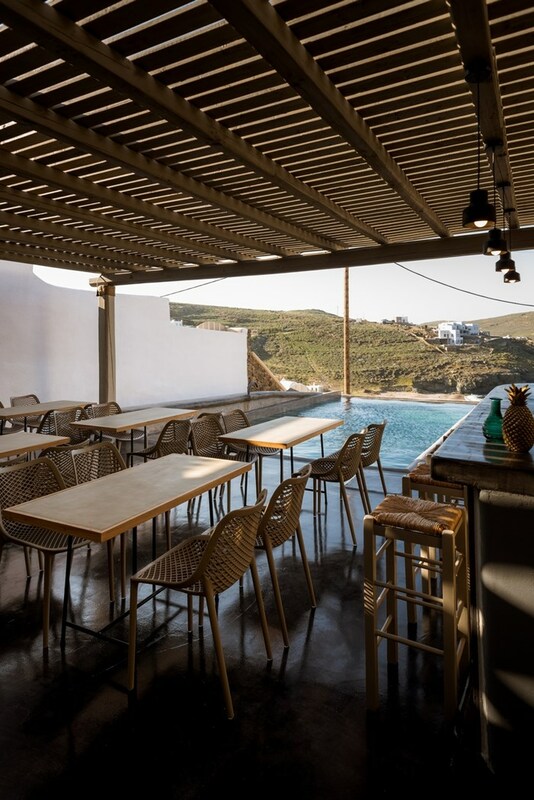 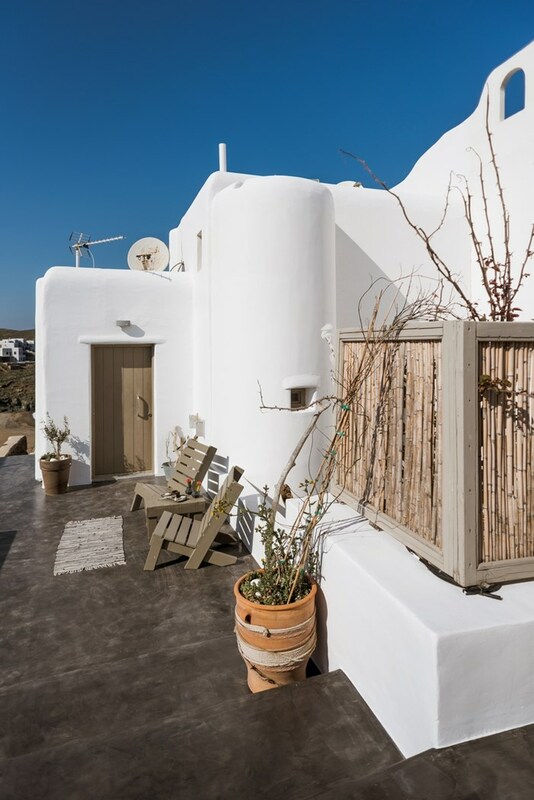 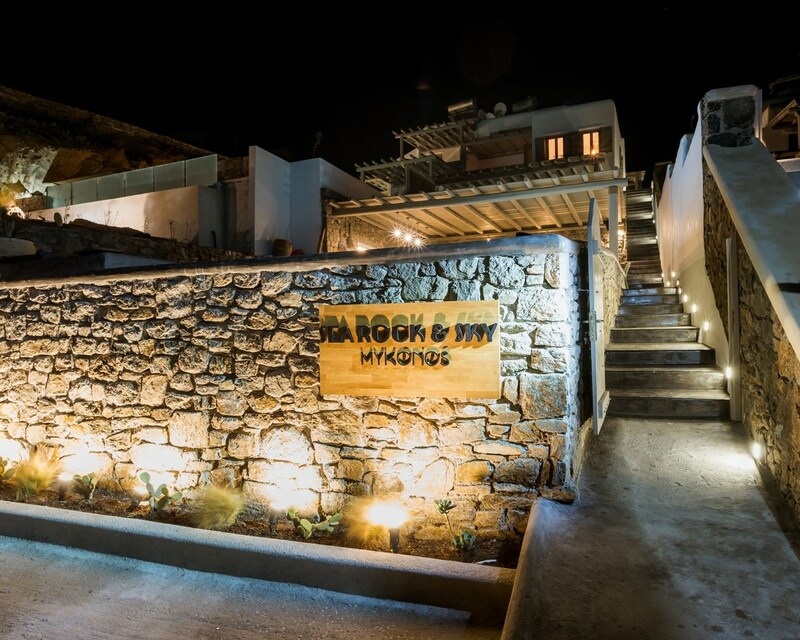 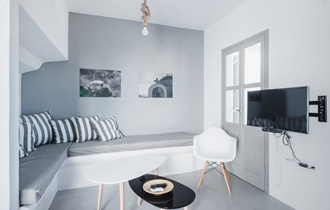 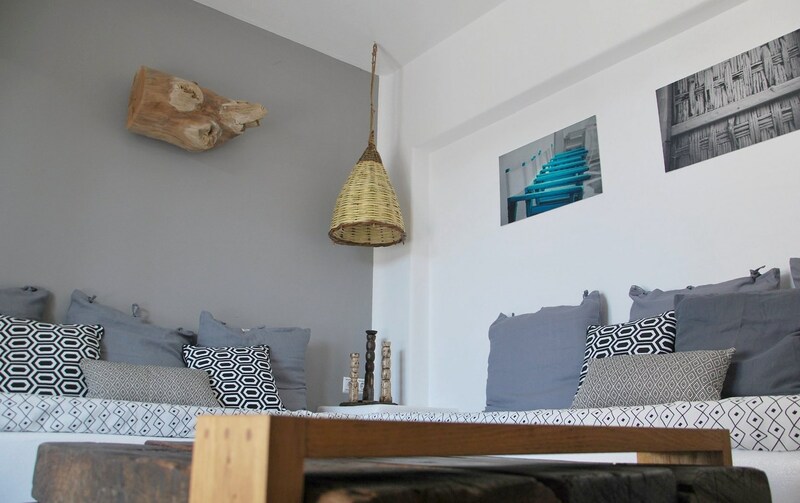 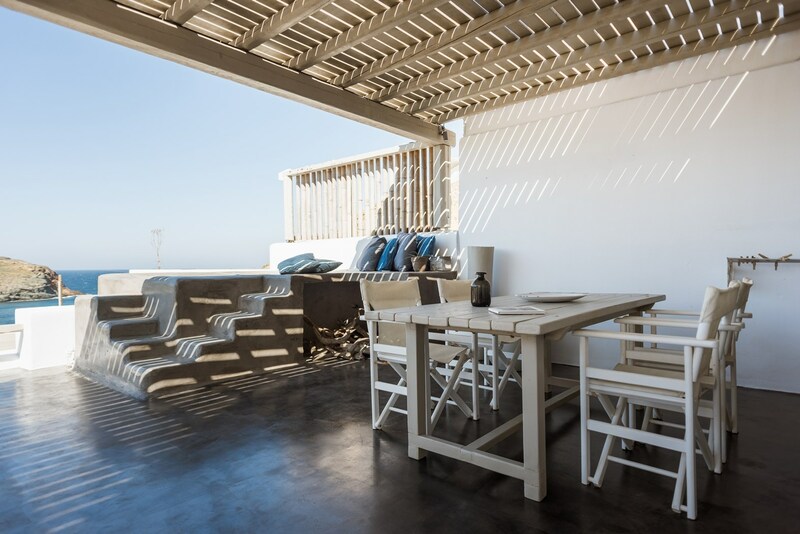 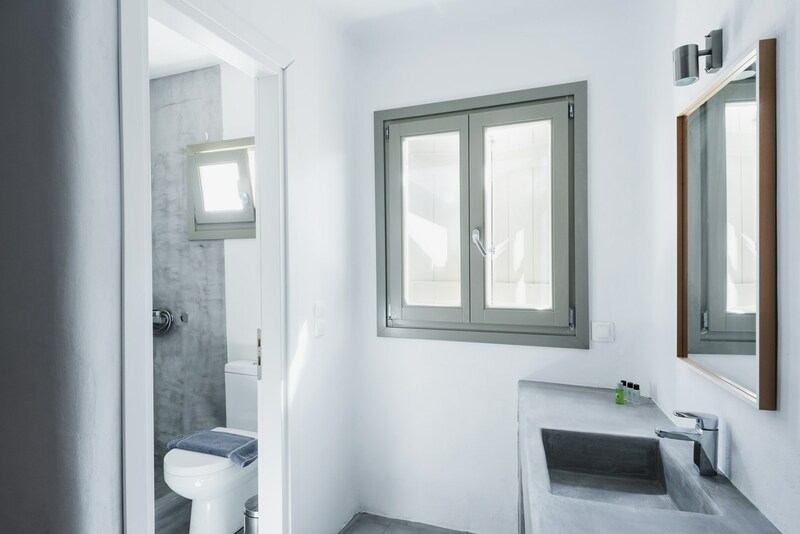 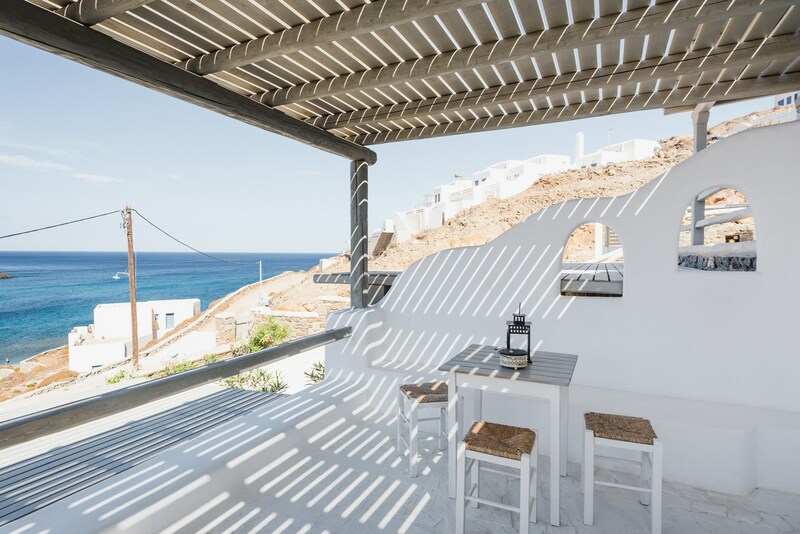 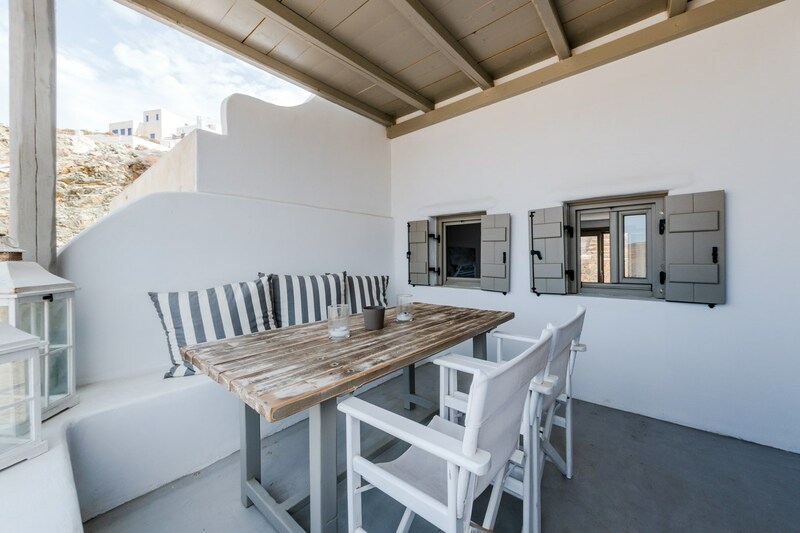 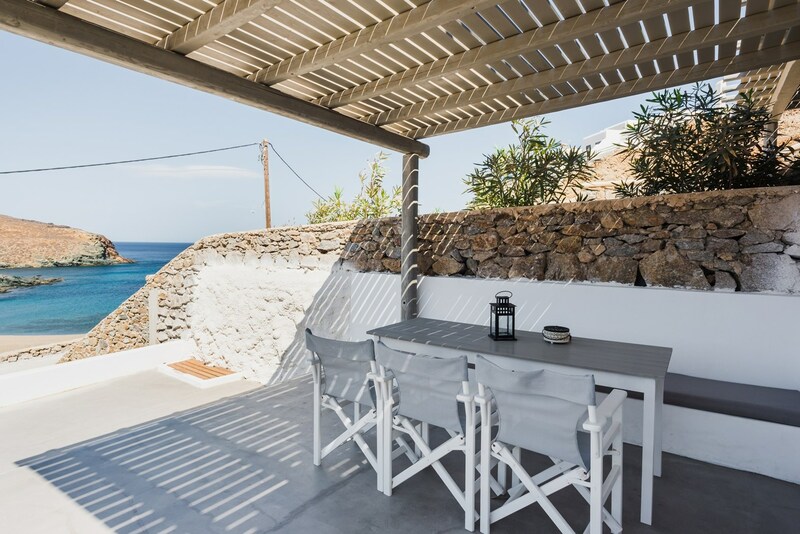 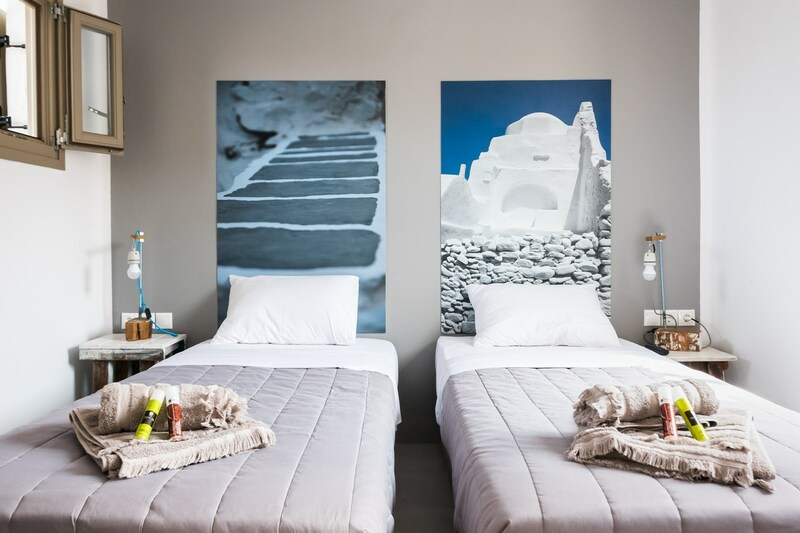 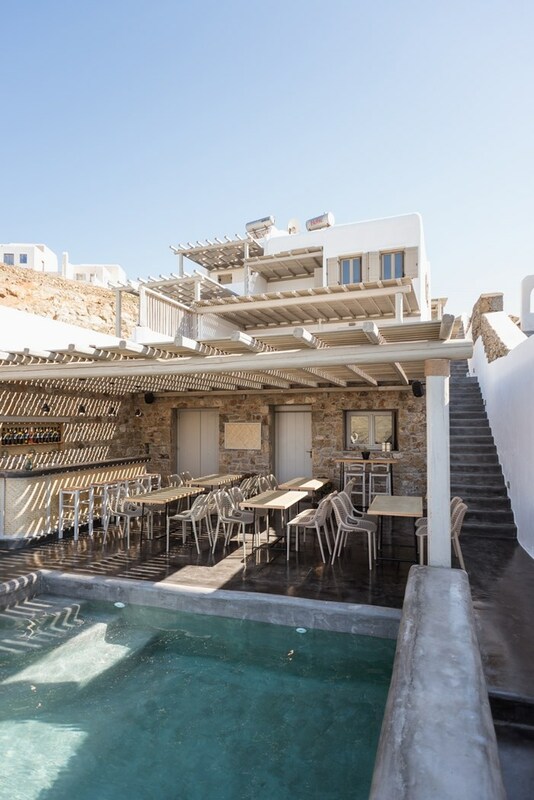 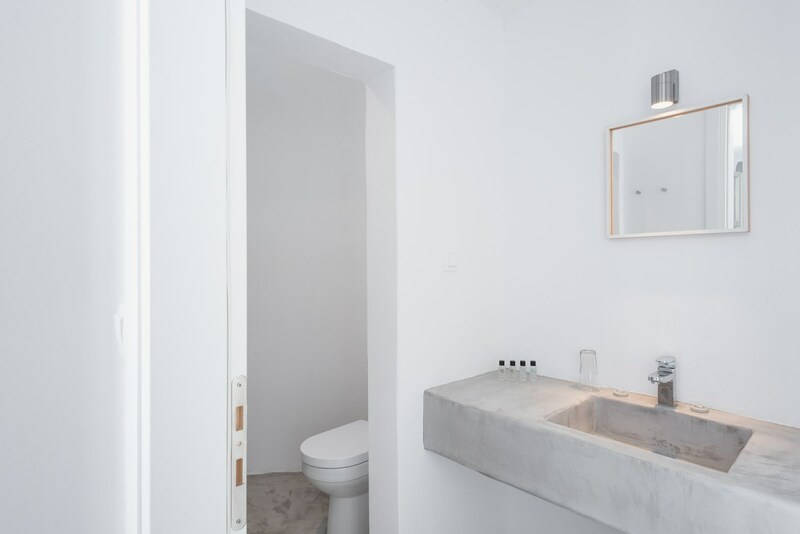 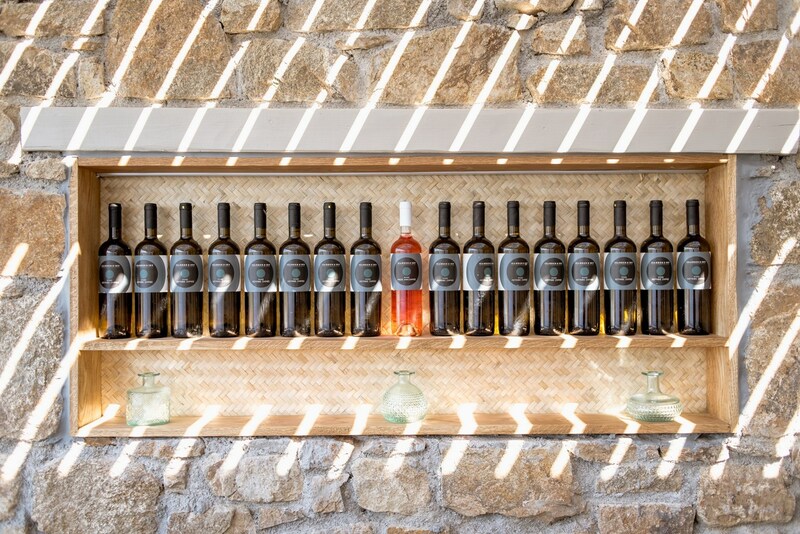 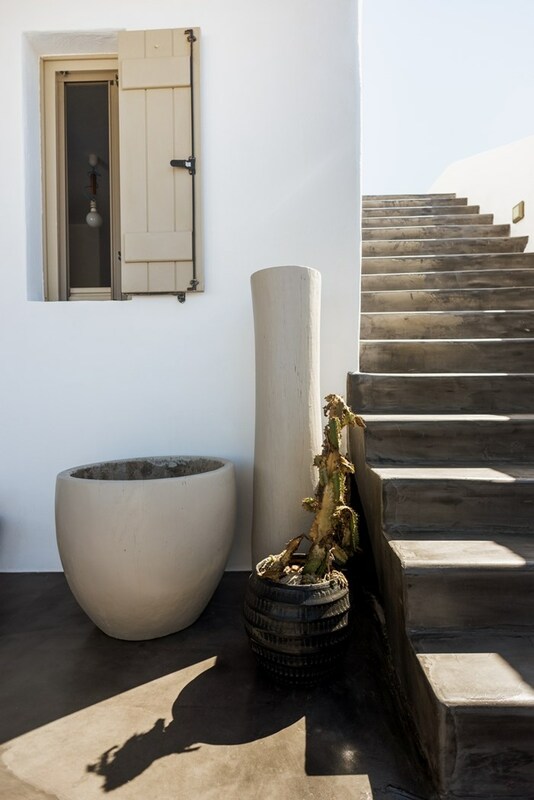 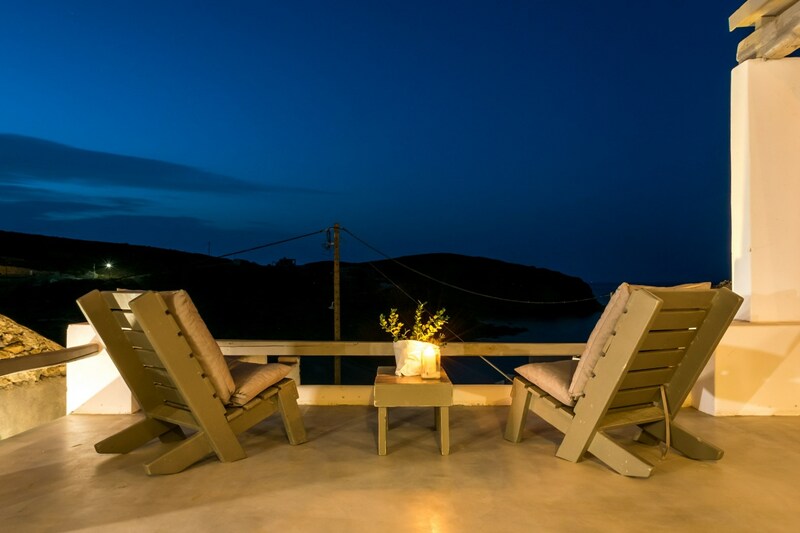 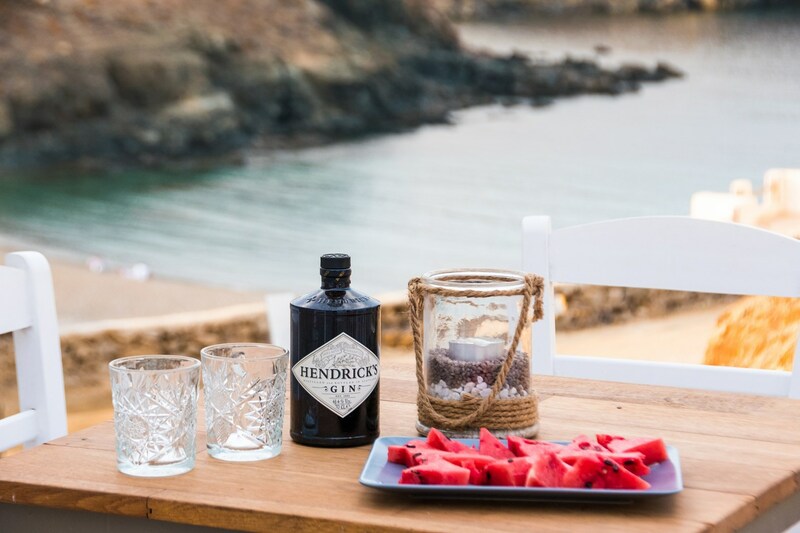 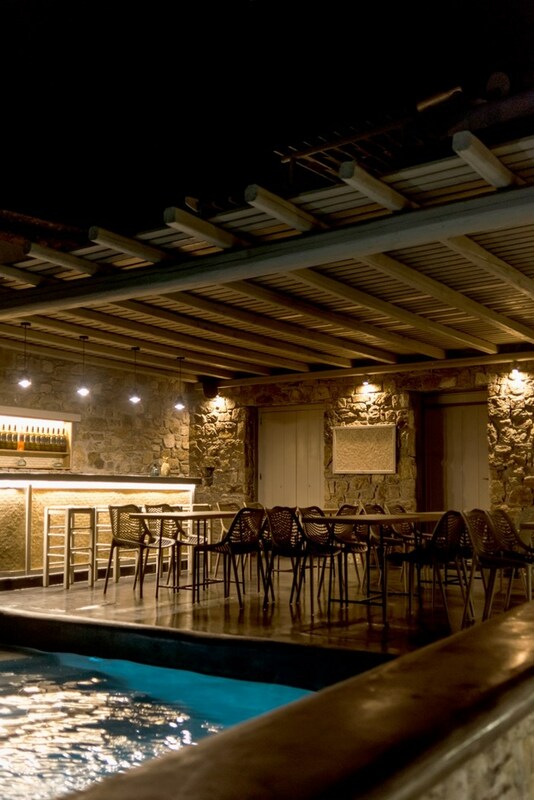 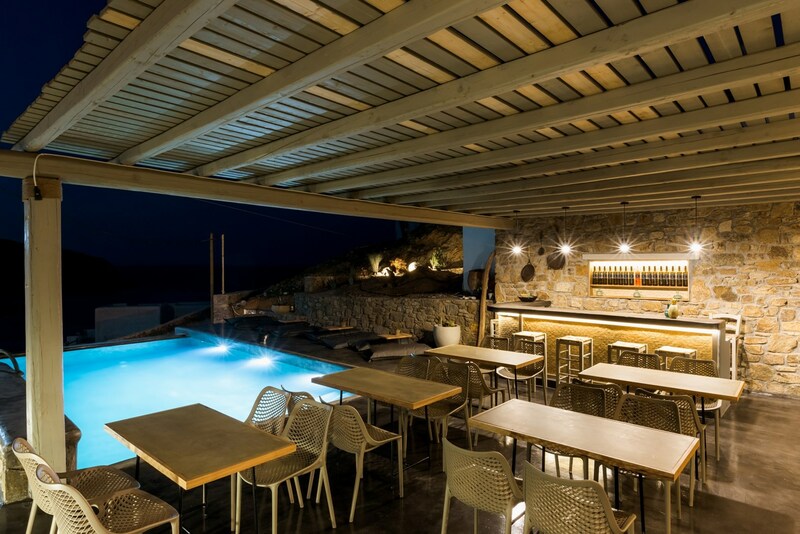 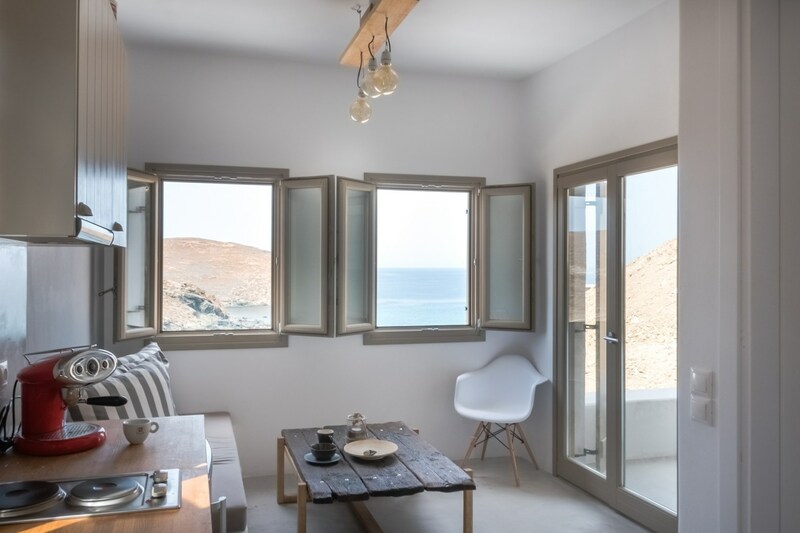 It is 50m from the sea, 9km (~6 miles) from Mykonos Town (Chora), 9 ½ km (~6 miles) from the port, and 8 ⅓km (~ 5 miles) from Mykonos International Airport. 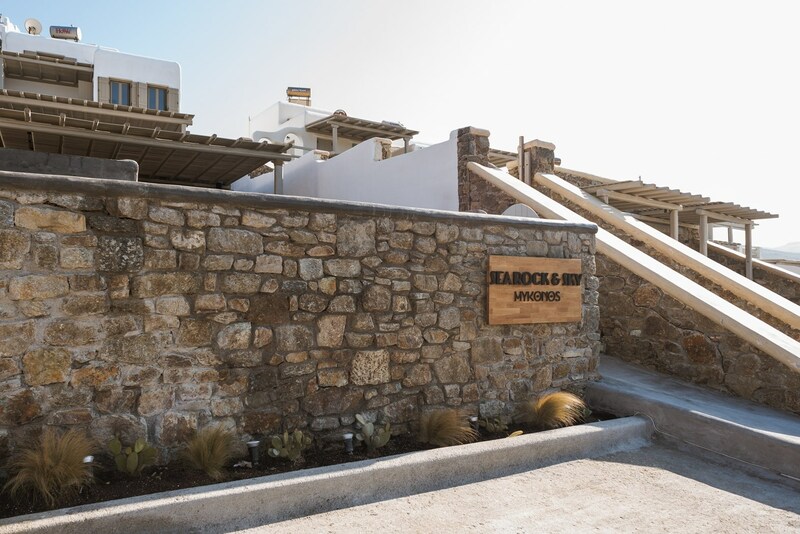 The Sea Rock & Sky Private Residence Collection also features a reception area, restaurant with Greek cuisine (special diet menu upon request) delicious breakfast, bar, snack bar, veranda with a unique view, hydro-massage (in specific residences), free Wi-Fi throughout the premises, parking, parking for disabled individuals and a garden. 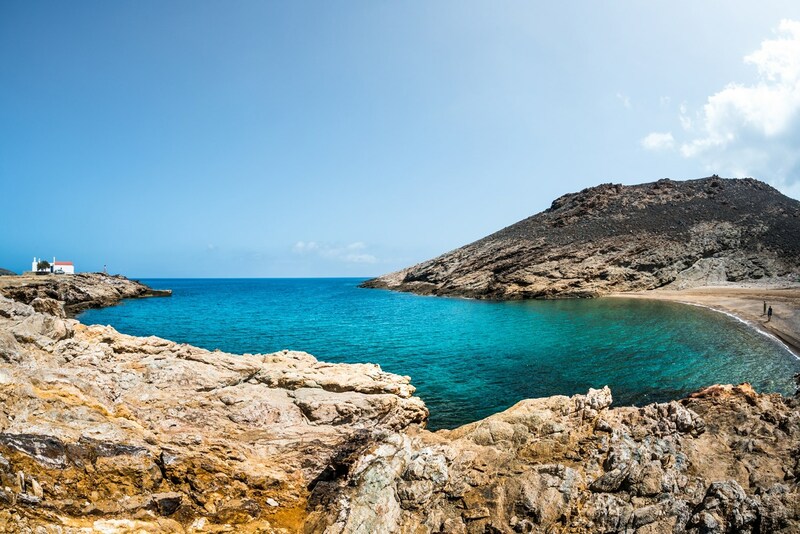 Your transportation to and from the port or airport has an additional charge. 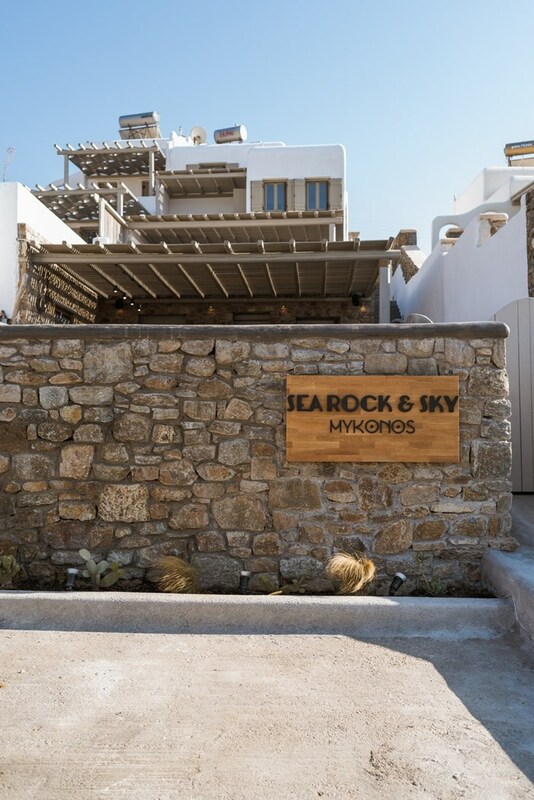 For every reservation made directly with Sea Rock and Sky Villas through this website, breakfast is free of charge and free private parking is included!